This month we celebrate Independence Day with the usual fireworks and parades, and hopefully spend a little time reflecting on our freedoms. You may remember from U.S. History class that the first ten amendments to the U.S. Constitution are called "The Bill Of Rights." Even though The Smile Shack was founded in 1999 – and not 1776! – we believe you have a "Bill Of Rights" too! It's how everyone deserves to be treated in our practice, and we really mean it! You have the right to be personally greeted and treated with the highest level of respect and care by our team of dental professionals. You have the right to have your dental treatment fully explained to you in plain English, and to have any questions answered to your satisfaction. You have the right to have your dental treatment performed with first-rate materials, techniques, and technology. 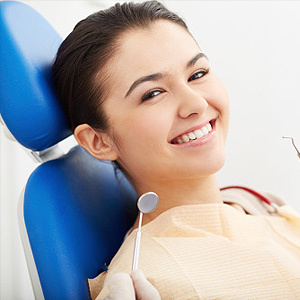 You have the right to be as comfortable as possible before, during and after any dental treatment. You have the right to understand the cost of treatment before it takes place, including an estimate of insurance coverage, if applicable. You have the right to a clean, safe environment, including hospital grade sterilization of all dental instruments. You have the right to be seen as soon as possible should a dental emergency arise. You have the right to be educated in the proper methods to keep your teeth and gums healthy, including brushing, flossing and anything else specific to your situation. You have the right to be treated by a team of dedicated professionals who are current in the licensure and strive to learn the latest and most important findings in the field of dentistry and health care. You have the right to remain silent when we have our gloved fingers and three suction tubes in your mouth...okay, that one was a joke! It's all our way of saying that we care about you!